Ask someone to describe Sweden and Swedes to you, and most people will probably come up with similar stereotypes: a cold country inhabited by tall, blonde people who live in houses furnished by IKEA, where they eat meatballs and cinnamon buns while listening to ABBA. Ask the same people about the Swedish language, and a good percentage of them will probably give you their best imitation of the Swedish Chef from the Muppets. There’s actually been some more or less serious research done on the latter, and while his words are mostly humorous nonsense, some linguists have pointed out that the “singing” tonality he uses sounds a lot closer to Norwegian than Swedish. Swedish is one of the official languages of the European Union, a working language for the Nordic Council and the first or sole native language of the majority of Sweden’s 10 million inhabitants. Despite this, it wasn’t made the official language of the country by law until 2009, when a broader language law was passed with the aim of making Swedish the main official language while also bolstering the status of the other official minority languages: Finnish, Meänkieli, Sámi, Romani and Yiddish. Swedish is also one of the two official “national” languages of Finland, alongside Finnish, though only approximately 5.5 per cent of the country, or 290,000 people, are native speakers. 26,000 of these are inhabitants of the autonomous Finnish province of Åland, where Swedish is the first language of the vast majority – and the only official language. The coastal region and the northern and western islands of Estonia had a Swedish-speaking population for over 650 years. During the Swedish rule of Estonia between 1558 and 1721, Swedish was considered one of the official languages, alongside Estonian and German. After control of the country shifted to Russia, large numbers of the Estonian Swedes were forced to relocate, which is how Swedish-speaking villages were founded in other parts of Europe. One such example is Gammalsvenskby in modern Ukraine. In 1934, the Estonian Swedes still accounted for the third largest minority in Estonia, but nearly all of them fled to Sweden during World War II. Today there are roughly 300 self-identified Estonian Swedes who still live in Estonia, with about an equal number spread out over Russia and Ukraine, of which only a handful still speak the old Estonian Swedish dialects. Traditionally, the North Germanic languages have been divided into East Scandinavian, consisting of Swedish and Danish, and West Scandinavian, consisting of Norwegian, Icelandic and Faroese. More recently, and in order to better reflect the mutual intelligibility between the languages, this classification has changed to Insular Scandinavian, consisting of Faroese and Icelandic, and Continental Scandinavian, consisting of Swedish, Danish and Norwegian. The continental varieties, at least from a linguistic perspective, have such a high degree of commonality that they can be considered a dialectal continuum rather than separate languages. Swedish is traditionally divided into six major dialect groups: Norrland, Svealand, Gotland, Götaland, South Swedish and East Swedish (Finland Swedish). The actual number of dialects is several hundred, though most are more or less mutually intelligible, with the exception of some highly diverging forms found in Dalarna, Norrbotten and Gotland. The differences between dialects have decreased in modern times, particularly with the introduction of more advanced modes of transport and mass media. Most now exist on a spectrum from “standard language” to “rural dialect”, where the extremes of the rural dialect can have very distinct grammatical and phonetical features and be near-incomprehensible to an outsider. Spoken Swedish started to become comparatively standardised during the 20th century, influenced in part by the already standardised written language and further by increased access to radio, television and movies. Dialectal markers are still present between different speakers of standard Swedish, such as the distinctive “French R” of the southern Swedish dialects, the “thick L” often found in the dialects of Götaland, Svealand and Norrland, or the diphthongs in the dialect of Gotland. The most obvious regional marker is often the prosody (things like intonation, stress, rhythm and tone), which will sound markedly different for a Swedish-speaking Finn, someone from Piteå and Kalix in the north or Stockholm, Gothenburg and Malmö in the south. Swedish is usually said to have nine vowels. This claim often stems from the fact that the Swedish alphabet has a total of nine vowel letters: a, e, i, o, u, y, å, ä and ö (the final three letters not existing in the English alphabet). However, the short vowels in Swedish also tend to be pronounced more centrally and more lax than their long counterparts, which, apart from the difference in duration, also gives them a slightly different vocal quality. This has led to some researchers claiming these short vowels should be considered unique vowels, suggesting that Swedish has in fact either 17 or 18 vowels, depending on dialect! Regardless of whether you agree with this theory or not, the vocal quality of a vowel in Swedish can vary a lot depending on the word, even when you might assume it would be the same vowel. A famous example is the Swedish pronunciation of the name of star football player Zlatan Ibrahimović, whose first name is often pronounced with the vocal quality of a short vowel for the first “a” despite being a long vowel in duration (Swedish pronunciation available here). 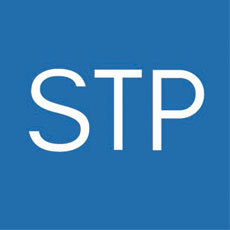 This is in contrast with other names in Swedish, usually the more traditional ones, for example the first name of STP’s own IT Manager, Adam Dahlström, whose first name is pronounced with the traditional long vowel quality for the initial “A” (Swedish pronunciation available here). In the past, Swedish made frequent use of honorifics such as herr, fru and fröken (similar to words like “Mr”, “Mrs” and “Miss” in English) when people addressed each other formally. Furthermore, Swedish also made a distinction between a formal “you” (Ni) and a familiar “you” (du) when addressing another person. This distinction no longer exists in English, but those who speak German or French are probably somewhat familiar with the German Sie and du, and the French vous and tu. In Sweden, this usage changed during the late 1960s and the early 1970s, when the so called du-reformen (“the you reform”) began. This change saw the Swedish speakers gradually moving away from the formal words and honorifics and beginning using the familiar du (“you”) in almost every situation, regardless of the speakers’ relationship, profession, social status, age, gender, etc. This change spread not only within the Swedish language, but also within Swedish society itself, eventually leading to a significant reduction in the number of formality registers, even for government officials. The you reform has led to an interesting effect within the field of professional translation into Swedish. Clients often give long and detailed instructions on the formal register they want their texts to have in the target language. While this is a major concern for many of the world’s languages, it’s no big issue for us Swedish translators – there are barely any registers at all in Swedish! Sometimes, clients want us to update past jobs as the instructions they originally gave us used the wrong register. We always tell them they can keep the original Swedish translation – it works for any register! It should however be noted that this “you reform” was never as prominent for the Swedish spoken in Finland as it was for the Swedish spoken in Sweden. Although Swedish speakers in Finland were aware of the you reform in Sweden, the habit of addressing every person with “du” regardless of social status never established itself to the same extent in Finland. Although some people began addressing others with “du”, addressing people with “Ni” was common and well accepted for many decades, even well into the new millennium. In fact, Finnish government agencies didn’t abolish the use of “Ni” in official documents until 2014! We hope you’ve found these snapshots of the Swedish language an interesting read. Maybe they’ve whetted your appetite to learn more about the language (or maybe even to learn to speak it), and maybe they’ve explained some quirks that you’ve previously found strange or baffling. Maybe this article has helped you change your views of Sweden and the Swedish people, and maybe it hasn’t. Perhaps you’ve only read this far because you wanted to see whether we would explain the mystery behind the names of IKEA products (there is apparently a system to it!) – but we’ll save that for another article. So stay tuned for more Swedish facts in the future!